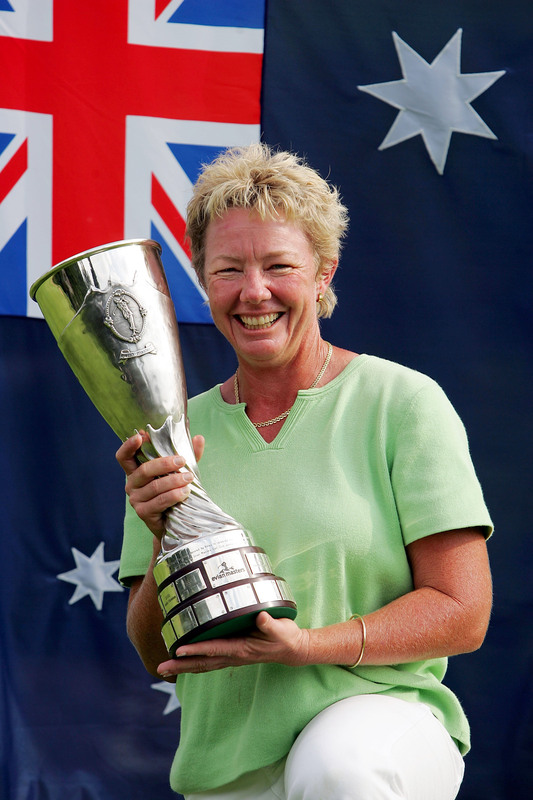 Australia’s Wendy Doolan has been competitive on the world stage as a professional for more than 25 years, earning three wins and 34 top-10 finishes on the LPGA Tour, before turning her focus to helping others achieve their dreams in golf as a teaching professional. Because of her background as a competitive amateur and professional who has competed in tournaments around the world, Wendy understands what it takes to set goals, refine skills, think clearly and to achieve personal milestones at every level. Wendy’s personal journey in the game began in 1983, when she represented amateur teams throughout Australia and New Zealand, winning nine national, state and district titles, as well as 15 local and club titles at home in Sydney, Australia from 1983-1988. The next year, she won eight tournaments, including the 1989 Australia Junior Championship (under 21) and the Victoria Amateur State Championship. She would add five more championships in 1990, including three 72-hole events. That early success paved the way for Wendy to represent Australia internationally in such events as the Women’s World Cup, the Queen Sirikit Cup, the European Amateur and Swiss International, the Women’s British Amateur Championship (where she was the 1991 runner-up) and to compete in Hong Kong alongside Asia’s best women amateurs. By 1991 and 1992, she was ranked as the No. 1 Australian Woman Golfer by the editors of Australian Golf Magazine. Those early experiences against the world’s best women amateurs provided a broad foundation for Wendy. And as a native of Australia, which had produced other top golf professionals such as Jan Stephenson and Greg Norman, Wendy knew she wanted to follow her compatriots to the highest competitive level. She turned professional in November 1991, and competed from 1992-1995 on the Symetra Tour and on the Ladies European Tour. She also competed from 1993-1995 on the Asian Ladies Tour and on the Australian Ladies Tour – winning both in Australia and on the Symetra Tour — before earning full LPGA Tour membership in 1996. Wendy became a Rolex First-Time winner at the 2001 LPGA Champions Classic, where she won a five-hole playoff. She added her second LPGA title at the 2003 Welch’s/Fry’s Championship, where she carded a career-low score of 62 in the second round and would go on to win by three strokes over runners-up Lorie Kane and LPGA Hall of Fame member Betsy King. Her final LPGA victory came at the 2004 Evian Masters in France, where she recorded four rounds in the 60s to win by one stroke over Sweden’s Annika Sorenstam, also a member of the World Golf Hall of Fame. Even while she was winning tournaments and posting top-10 finishes on the LPGA Tour, Wendy was also involved behind the scenes, working with LPGA staff to help improve LPGA tournaments and decisions affecting players. She served as a member of the LPGA Player Executive Committee from 2002-2003, and in 2006. But after competing full time for 23 years on women’s professional tours around the world, Wendy decided she wanted to help other players chase their dreams in golf. From April 2010 to December 2011, she worked as the director of the mental-golf program at the Gary Gilchrist Golf Academy. It was there that she worked with more than 70 academy students age 18 and under to help them improve their thought processes, mental on-course strategies and how to become more aware of their tendencies in pressure and non-pressure situations. While Wendy worked with students to help them improve their scoring at tournaments, she also coached the young amateurs on how to book travel for competition, operate on a budget, develop yardage books to be used in tournaments and how to effectively utilize practice rounds during competition weeks. Wendy also directed the mental program at the Lee Westwood Golf School in Orlando, Florida from 2013-2015, working with academy students under age 22. It was there that she helped young players improve their mental strategies on the golf course with the goal to improve their scoring in competition. Part of that program included the coach’s written end-of-semester reports for parents to monitor their child’s progress. Wendy also has coached players at a variety of levels since 2012, creating programs for juniors, high school and collegiate players, elite amateurs, professionals, club-level adult amateur players and amateur golfers ranging from the beginner and intermediate to advanced-level players.